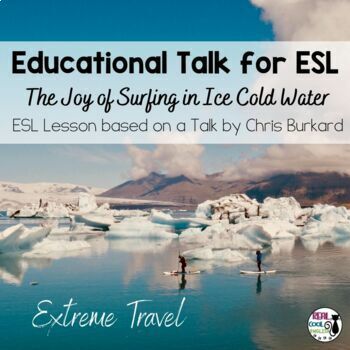 Updated 1/18 ESL Lesson: Based on a TED talk by Chris Burkard and is designed for upper intermediate to advanced ESL learners to practice listening, speaking, reading, writing, vocabulary and grammar skills. Discussion questions encourage higher order thinking. 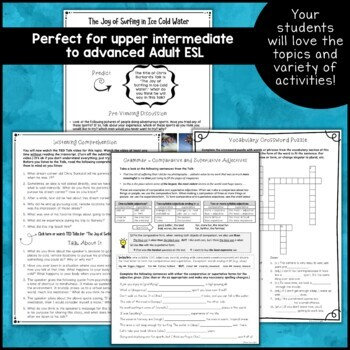 Complete lesson notes and answer keys are included. This lesson is ideal for use in the flipped classroom. The video can be assigned for homework and discussion questions can be done in pairs or small groups during class. 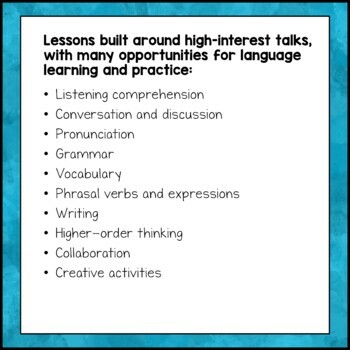 Lesson activities can be either be done in groups or at home and discussed during the next class. ❄️Vocabulary matching. Students use the context of a sentence to match the definition with the vocabulary word. ❄️Writing activity to practice using comparative forms. Students choose one of two topics related to the talk and compare two activities or two places. ❄️ Cloze activity to complete missing vocabulary words while listening to the Talk. • ESL Lesson for TED Talk: What Makes a Good Life? 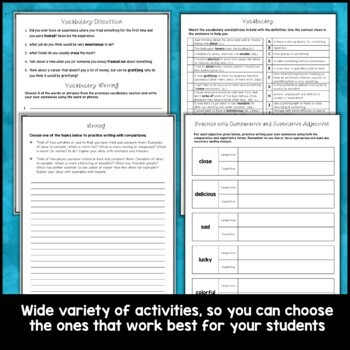 • Descriptive Sentences Task Cards: Spice it up!